Viktor Frankl wrote that a person “who can find a why to live can bear almost any how.” Meaning. We search for it. We long for it. We want to matter. Students want it. Teachers want it. Purpose is not beyond our reach. It is right here. If there is one movement I can ask you to join, it is choose to matter. 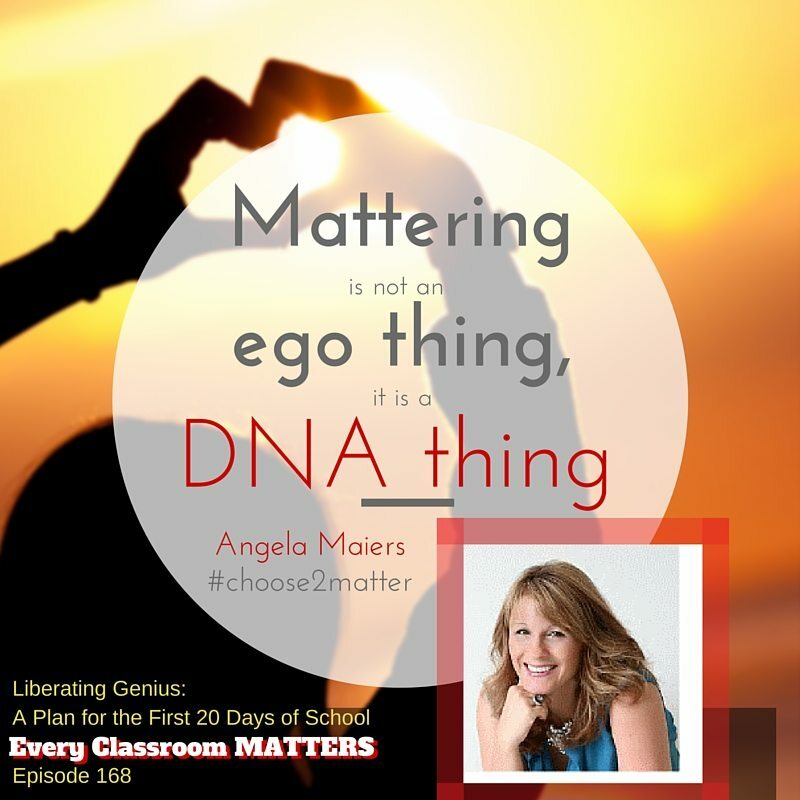 Choose to matter is a mindset. It is an essential part of what we do as teachers. You know this, but you don’t know how. Now you can. Listen to this show. Download the free ebook. Join the movement. Change the world one child at a time. Find the joy in teaching again. With just five or ten minutes a week, you can do this. How kids, teachers and school have a brand and how to communicate that brand to the world. What Angela thinks about her brother’s tragic suicide and how things could have been different. Can schools make time for this? Where to get free lesson plans. How a pitch and “cause court” work to help build a child’s strengths. 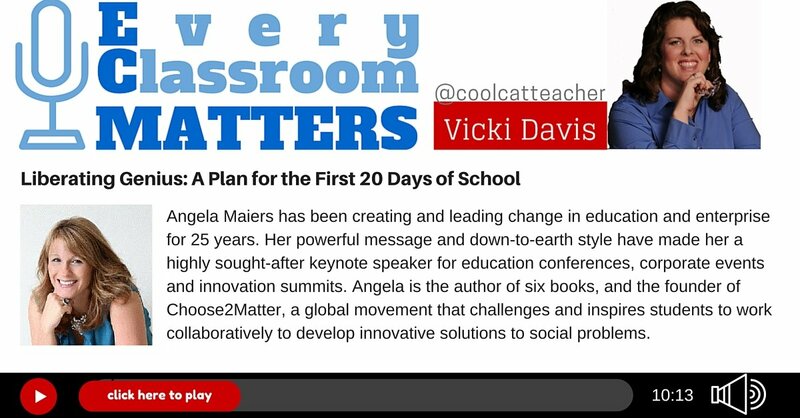 How to connect with schools who are helping kids matter. Mattering is as essential to our being as water, food, and shelter. 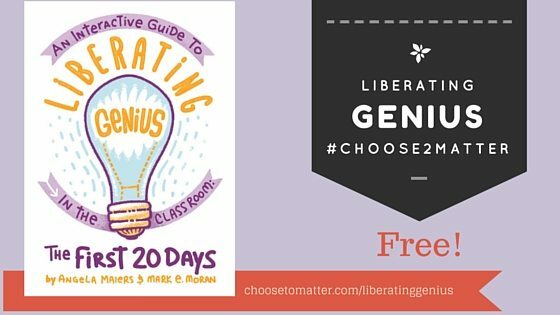 The post Liberating Genius: A Plan for the First 20 Days of School appeared first on Cool Cat Teacher Blog.